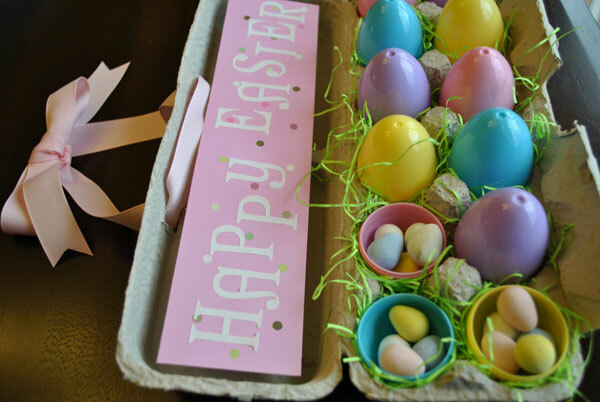 Here’s some eggciting and eggcellent craft ideas to keep the kids busy in the lead up to Easter! 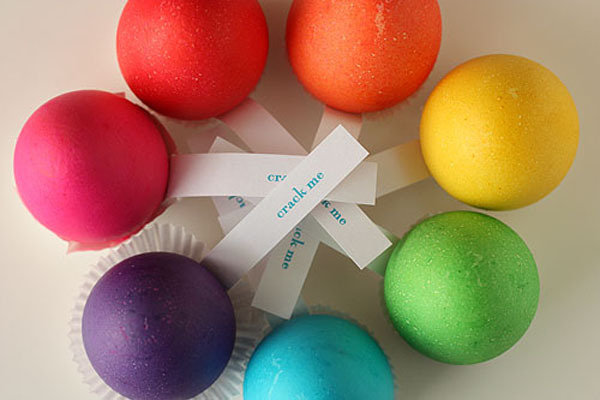 This year we’ll try egg dyeing in beautiful eye popping colours and perhaps take it a step further to create these pinata style Easter Surprise Eggs (pictured above and below). For full instructions on how to do such a clever thing, head on over to Not Martha. 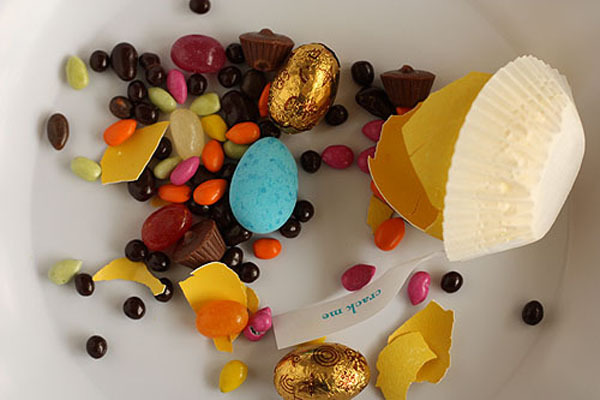 Or you could turn your dyed eggs into little egg creatures, Martha Stewart style! The team over at Eighteen 25 team make it super easy to give awesome looking gifts with their free download and print gift tags. 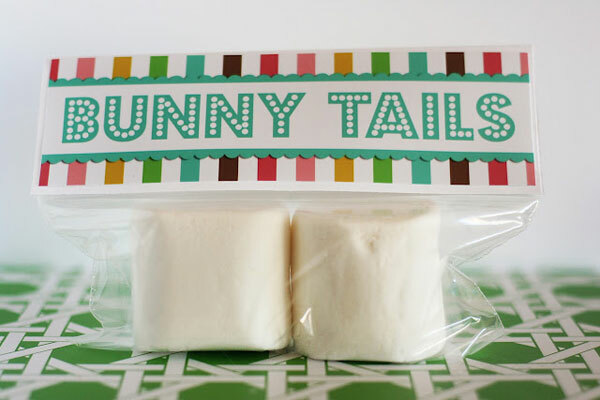 A fantastic quick gift idea for children’s friends, classmates or just to have on hand for visitors over the Easter weekend are these cute-as-a-button Bunny Tail bags (pictured below) using simple, readily available marshmallows. 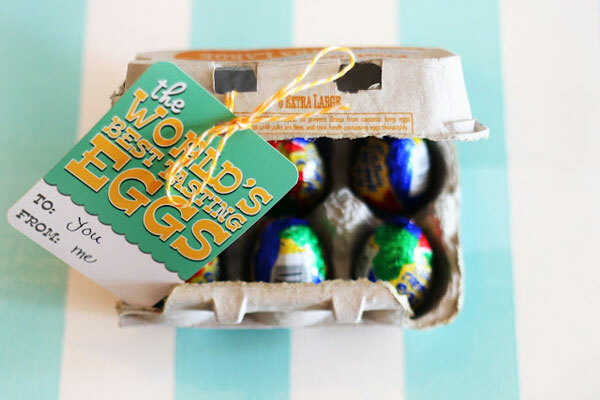 A clever, easy way of packaging loose eggs for a gift is with a half dozen egg carton and The world’s best tasting eggs tag – who wouldn’t love this gift idea?! With Easter wares hitting shop shelves well in advance, anticipation starts early and it can seem an eternity for children until the actual date arrives. A fantastic way for little ones to keep check of how many days are left is with an Easter countdown calendar such as this one below from Very Heatherly. Make your own and fill with treats or Easter themed jokes. 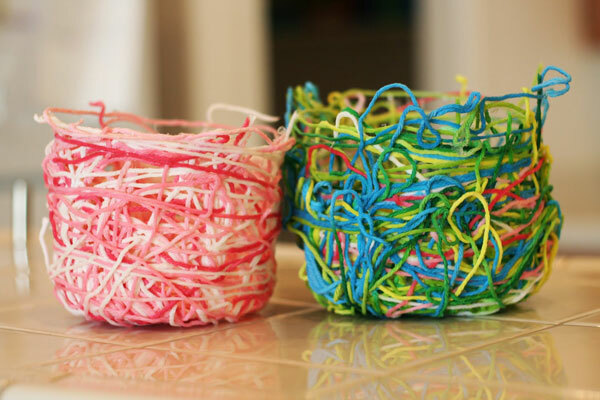 Of course children will need a nest for Easter bunny to drop a few treats in on Easter Sunday and these wool baskets make cosy egg nests, not to mention kids will love getting a little messy while constructing! Still on the subject of getting messy, preschool children love wielding a paint brush and finger painting so why not let them get busy with some chicken painting! 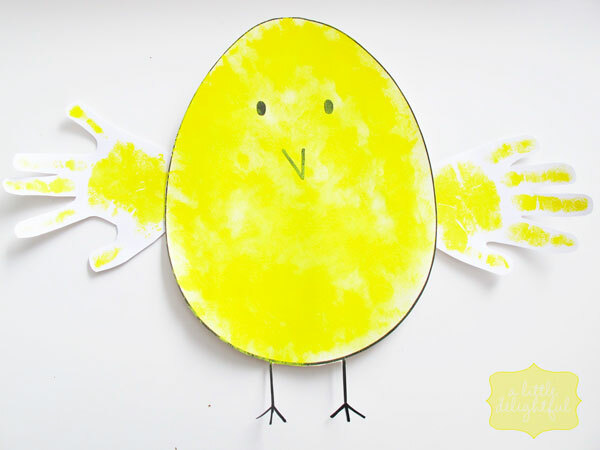 Download your chicken at A Little Delightful and just add paint. 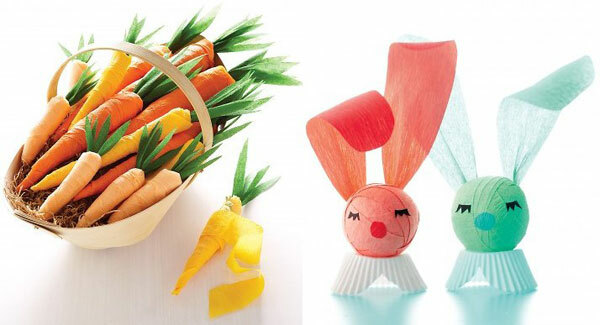 Martha Stewart as always has plenty of gorgeous Easter craft ideas for kids and trust me you’ll want to have a go at all of them, but I especially love the crepe paper Surprise Bunny and crepe paper Carrots. Each bunny and carrot is designed to carefully conceal a little treat or of course you can make them treatless. 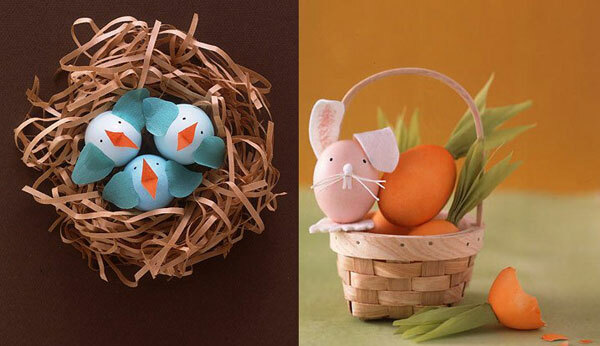 We hope you have a great time getting crafty in the lead up to Easter, let us know what you’re going to try at home!